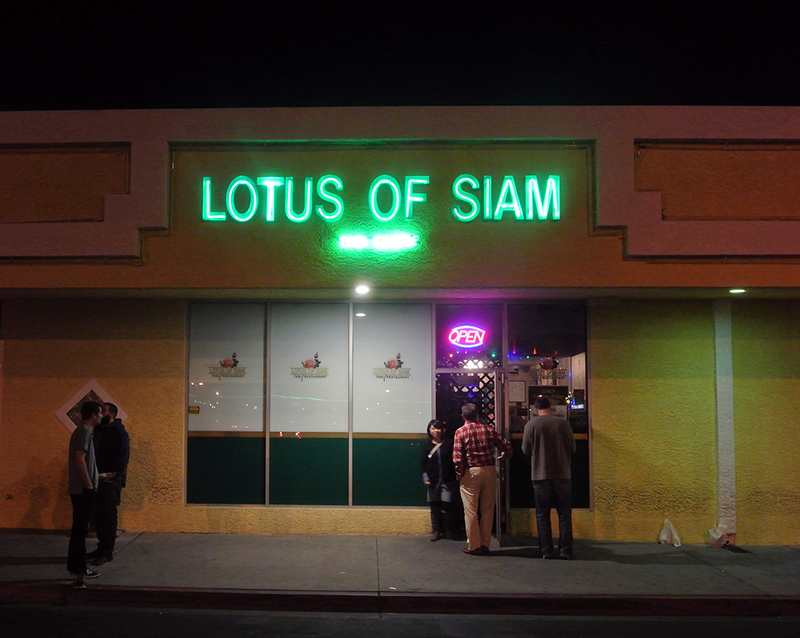 After unsuccessful attempts on previous visits to Las Vegas, I was finally able to land a reservation this time around at the famed Lotus of Siam. There’s quite a lot to say about the history and fanfare of the restaurant, a favorite among locals, tourists, celebrities…hell, everyone. But perhaps the most important and lasting praise bestowed upon them came from none other than the man himself, Jonathan Gold, who deemed Lotus of Siam, “the single best Thai restaurant in North America.” That was back in 2000, and in the years since then their popularity has only grown. Recent visits from the likes of Pharrell and Anthony Bourdain continue to attract positive attention for the restaurant, but in the end it all comes back to the food (particularly the Northern Thai dishes), vast wine list, and overall friendly, welcoming atmosphere. Just like my favorite Vegas restaurant Raku, LoS is situated in a strip mall just a brief taxi ride from the main thoroughfare, though this plaza was noticeably more sketchy (I overheard a nearby table mention a possible swingers club some doors down). Once inside, the buzz of table chatter and waiters criss-crossing between patrons gave the appearance of a regular Chinese banquet hall, save for the impressive display of wine bottles stored behind a massive pane of glass. The menu contains every imaginable Thai classic, but the real standouts are located in the Northern Thai and Chef’s Choice sections. The nam kao tod here was certainly among the best renditions of the dish that I’ve ever tried, up there with the version from Night+Market that I had last year. The grains of rice were puffed and crunchy, perfect for carrying the acidity of the lime juice and heat of the chilies, while the cilantro and cubes of pork rounded out the dishes vibrant flavors. My only issue was the julienned ginger that overpowered the palate if unknowingly taken whole. Considering that I was dining with friends who normally allow me to do all the ordering, this dish was a concession to balance some of the stronger flavored dishes that were to follow. In comparison to the evening’s other items this one came off a bit boring, but it wasn’t bad by any means. However, I would’ve preferred the jowl cut as it tends to have a fattier consistency to it. Our waiter did a double take when I ordered this one, wanting to make sure that we knew what we’d be getting. Clearly, he didn’t know how FoodsEyeView gets down, as this one was a favorite among our group. The glutinous, rice-cake like omelet was studded with a generous amount of mussels and accompanied by a “spicy sweet sauce” that complimented the oiliness. Cilantro provided some color while bean sprouts offered a welcome crunch to the otherwise chewiness of the omelet. Khao Soi Braised Short Rib [$20.95] | northern thai egg noodle served in curry sauce, coconut cream and braised short rib, garnished with sliced red onions, lime and pickled vegetables. 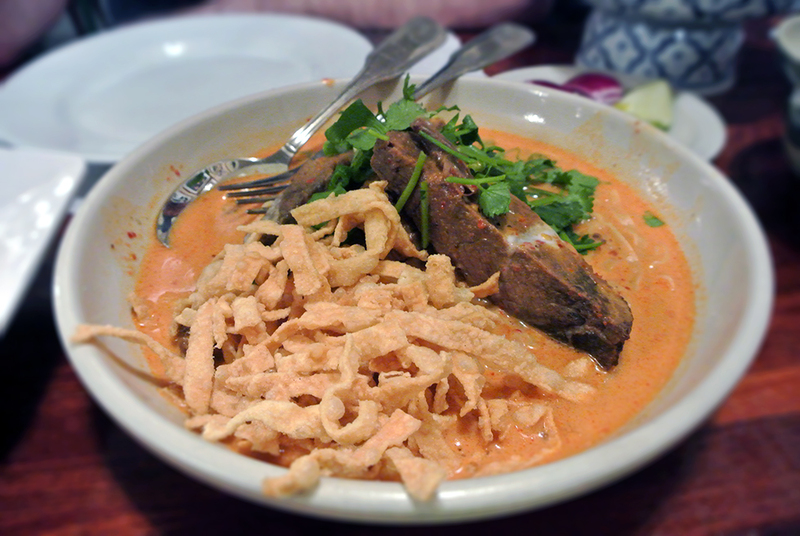 The khao soi was another table favorite, especially with the upgrade to short rib instead of basic beef or chicken. The meat was as tender as you’d expect, but it was the curry sauce, just sweet enough from the coconut cream, that highlighted the dish. The garnish of red onions, lime, and pickled veggie provided a nice sour/acidic contrast to the curry. As far as flavors go, this very well may have been the evening’s most ambitious item, with the roasted green chili dip conveying a smoky and spicy taste that was tamed by the assortment of crisp veggies and pork rinds it was served with. Despite the constant heat, I couldn’t stop myself from continuing to dip into the green mixture flecked with seeds from the roasted chilies. Kang Hung Lay (pork stew northern curry) [$9.95] | influence by burmese this almost sweet pork curry is one of the most popular curry of the north (it is in some way similar to pork stew). cooked with pork, dried and fresh spices. it’s usually eaten with rolled up *sticky rice ball. 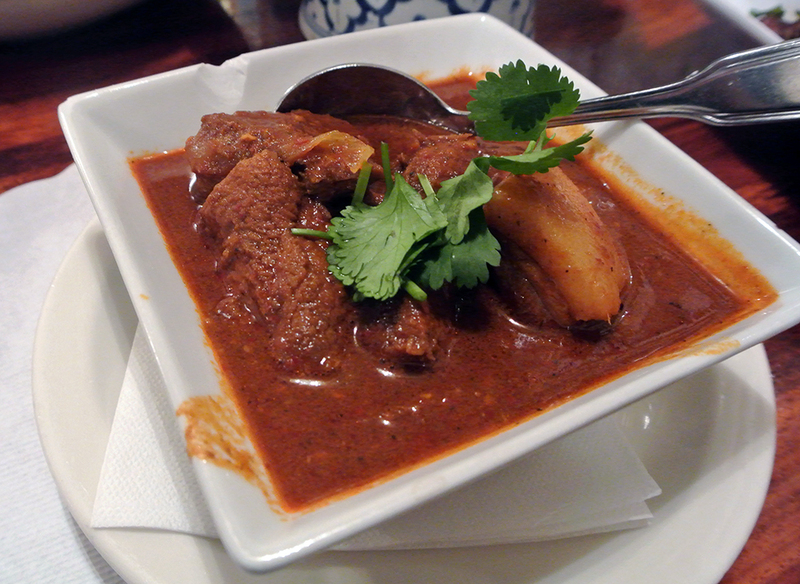 This northern pork curry had very apparent Burmese influences going on and was a welcome change of pace from the sour/spicy Thai flavors of everything else. The portion wasn’t very large compared to other dishes, but the fresh spices in the stew ensured that each bite packed a punch. The pork presented little resistance when cut into, and the potatoes were perfectly tender. 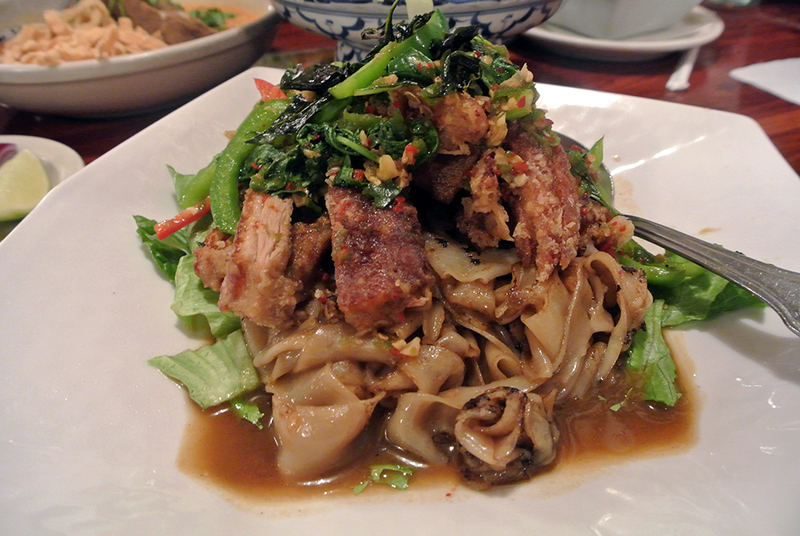 Crispy Duck on Drunken Noodle [$22.95] | crispy duck topped with fresh homemade chili and thai basils. 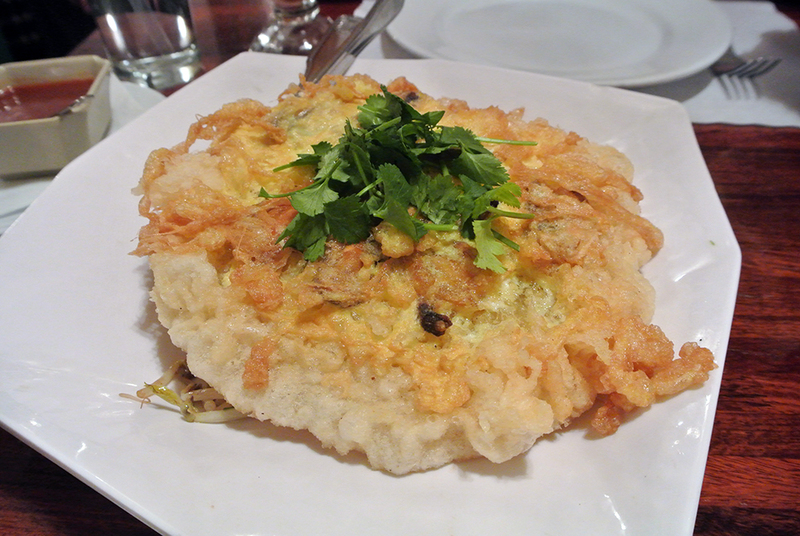 served on the top of pan fried flat rice noodles. Everything that I had read about Lotus of Siam seemed to mention the drunken noodles (also available with assorted seafood, soft shell crab or fried seabass), so it was definitely a must order. The crispy duck was no less than it’s name implied, the ideal compliment to the soft, pan-fried flat noodles that sat in a thin, gravy-like sauce. 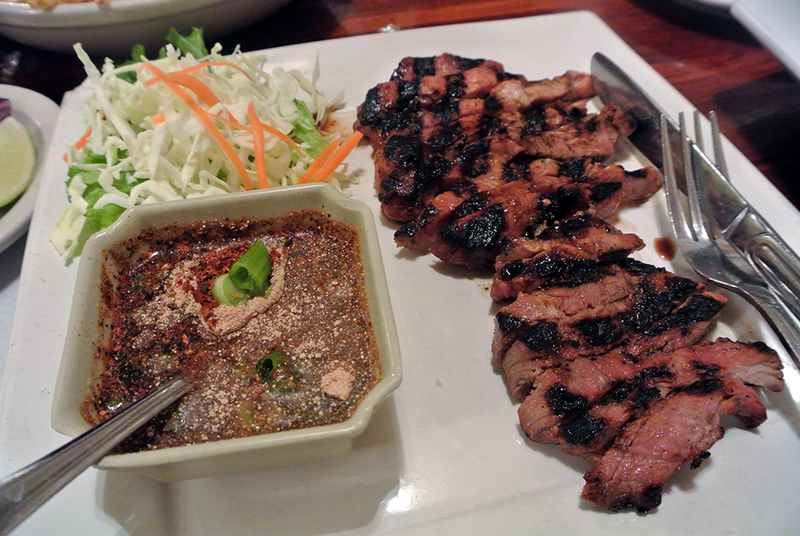 The topping of fresh chili and basil helped to cut through the richness of the fatty duck. 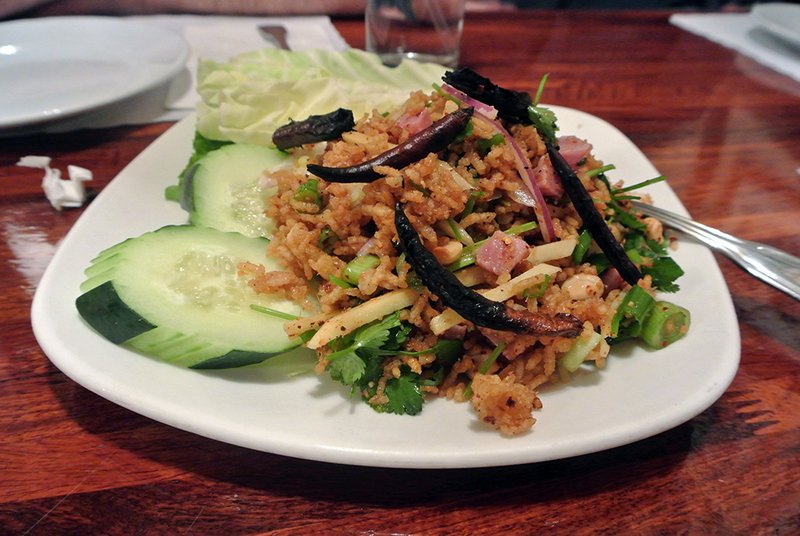 Without question, this was one of the best Thai meals I’ve had the pleasure of enjoying. You won’t find the more modern hyper-regional cooking found at a place like Night+Market (also up there among my most memorable Thai eats), but what you will get is the intensely smoky and spicy burn of roasted chilies in the nam prik noom, or the delightful chewiness and briney blast of the crispy mussel omelet. In other words, no shortage of items that will impress your taste buds to the point that you’ll question all That food that came before it. 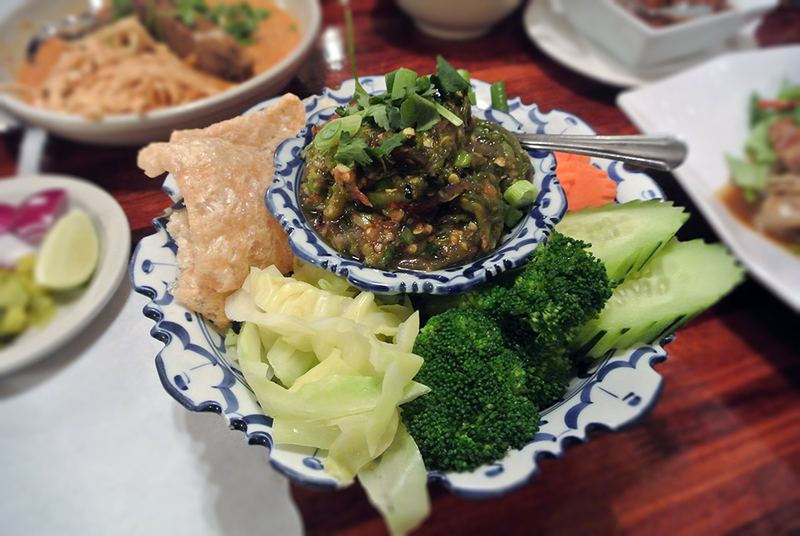 When it comes to the countless accolades and lofty praise for Lotus of Siam, believe the hype.